Split canvases of a monochrome seascape with breakwater. 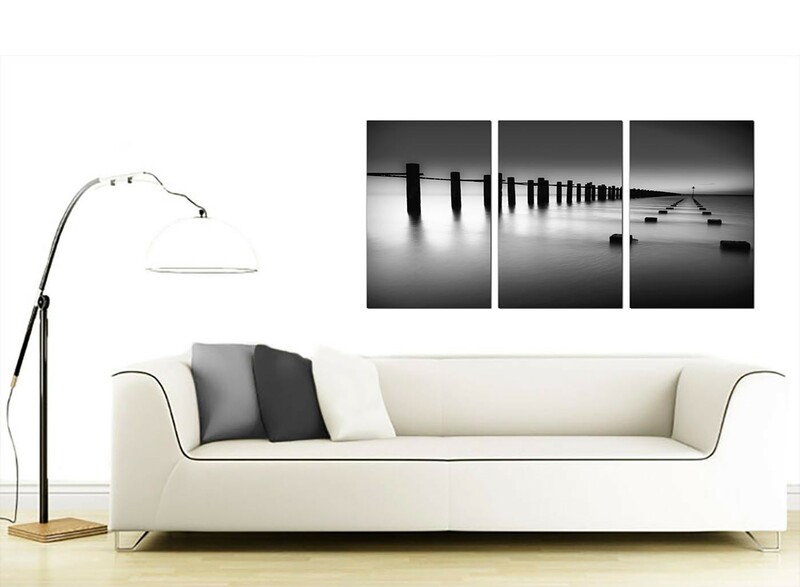 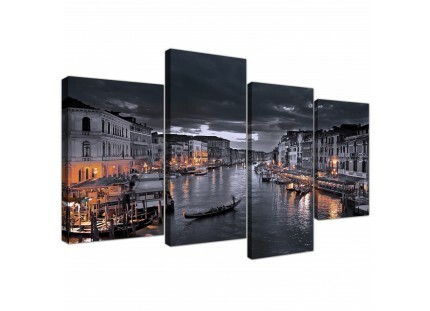 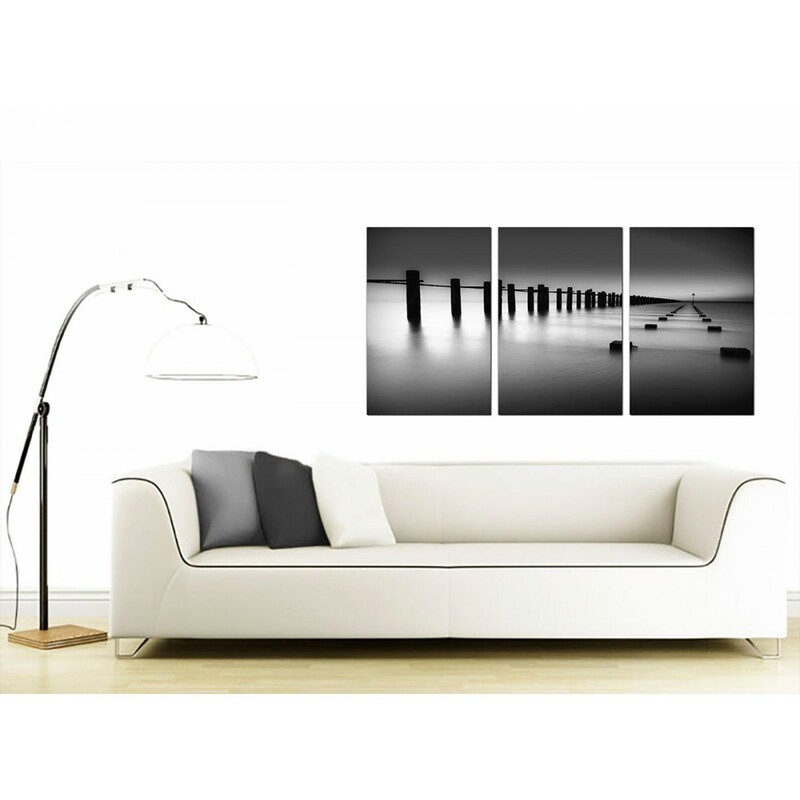 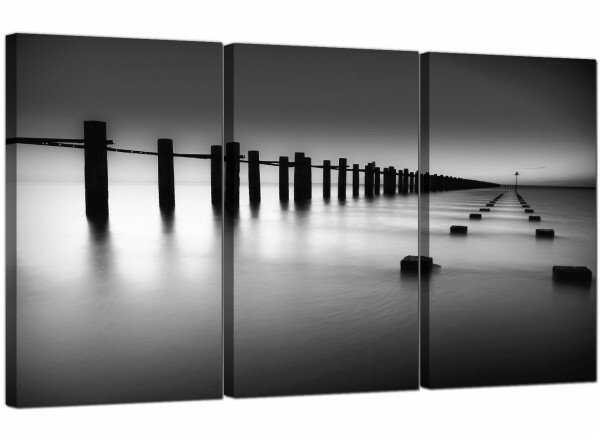 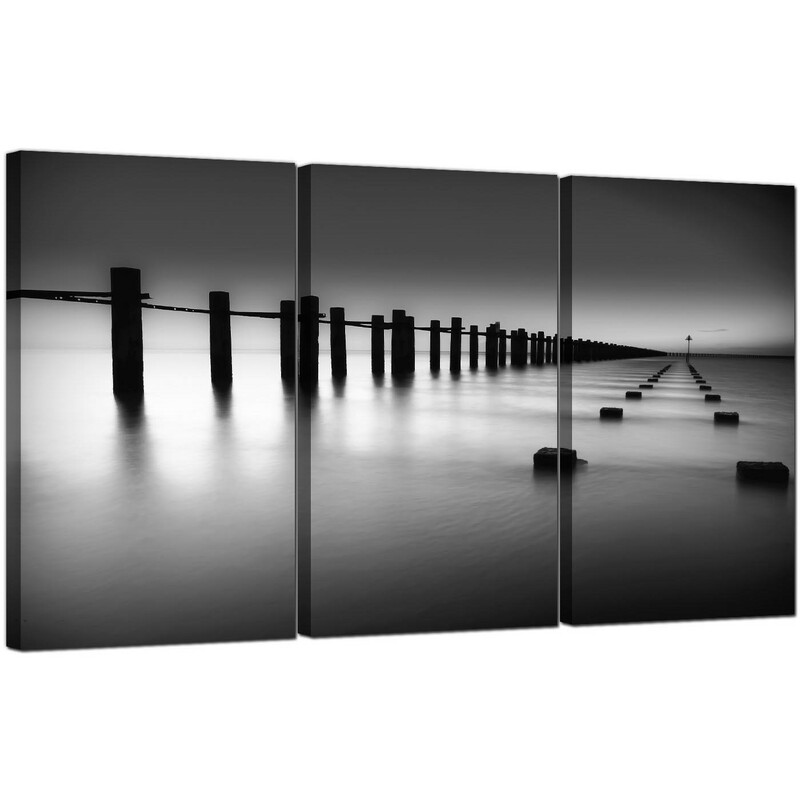 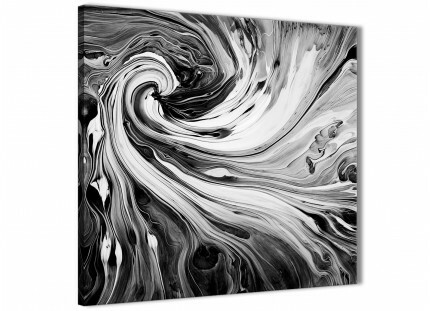 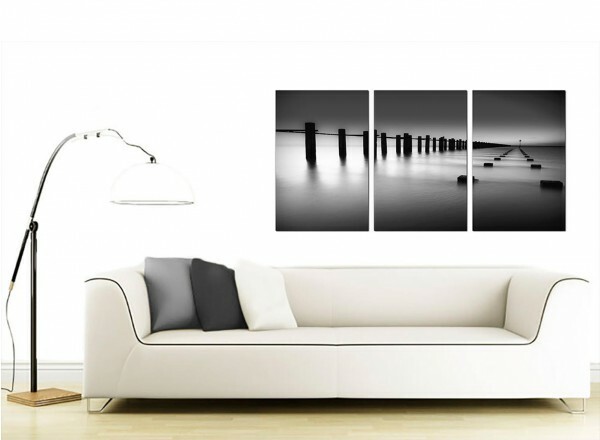 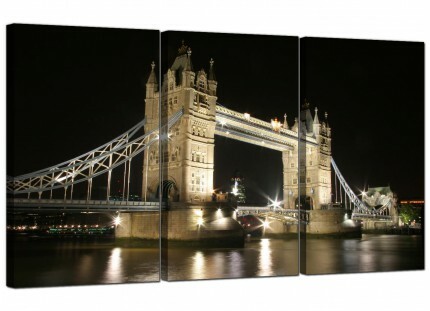 An extra large black white contemporary 3 panel set of canvas pictures. 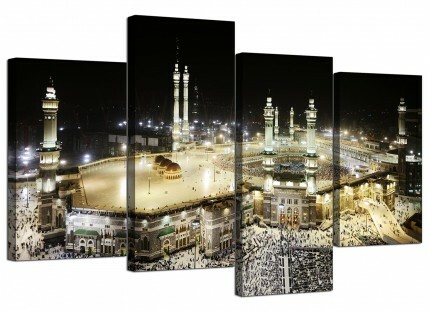 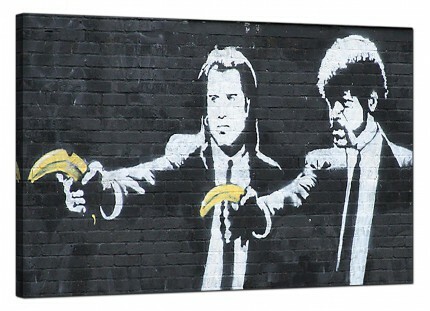 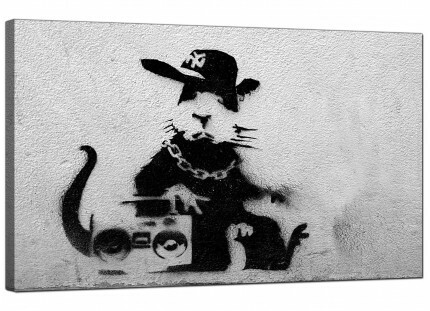 The United Kindom's favourite home artwork brand. Size: 125 x 60cm (49"x24") including gaps. 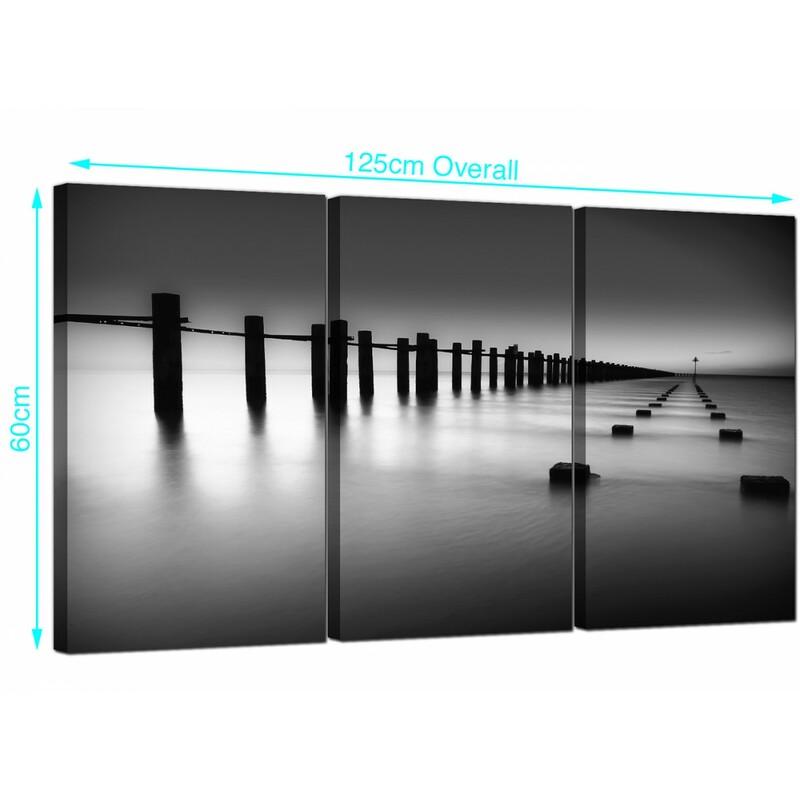 Each of the three panels are 16in by 24in. 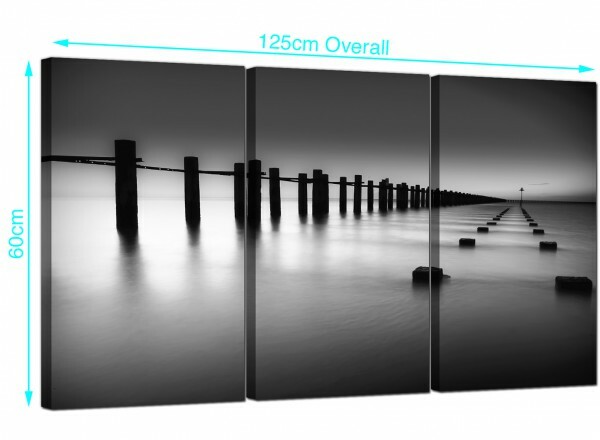 We advise a gap of 2.5cm between sections.